Happy Black Friday! Suzz here with our latest Friday Focus. The Yvonne Blair stamps by Impression Obsession are on sale! 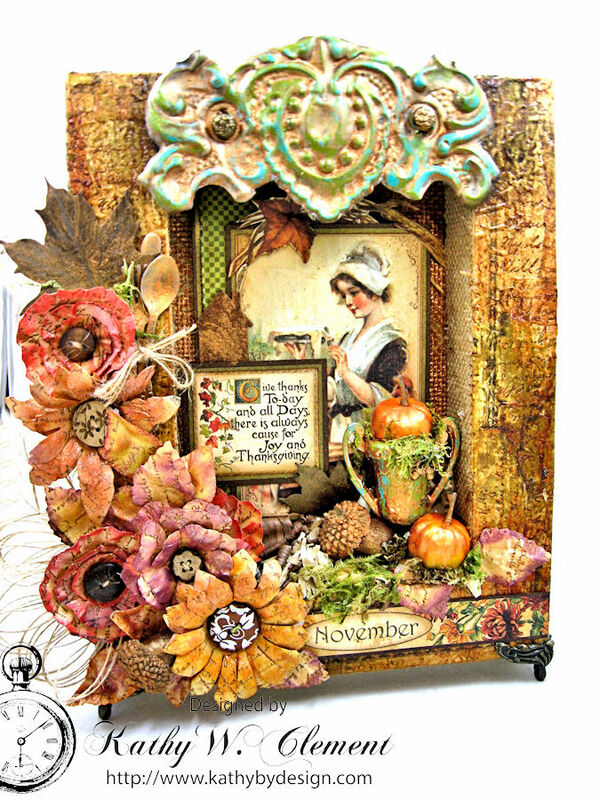 All of the Yvonne Blair Stamps at The Funkie Junkie Boutique will be reduced an additional 15% through December 9th. And speaking of discounts, it's Black Friday and everything at The Funkie Junkie Boutique is on sale, either at 35% off list for most product and 50% off list on all Clearance items! The sale runs through Cyber Monday. Quantities are limited - no rain checks so shop early for the best bargains! Sentiments, verses, quips, sayings, any type of prose is one of my favorite type of stamps to use on art journal pages, layouts, cards or any type of creative venture. The verse itself inspires me to think of different ideas of what I want to create. Yvonne has everything from inspirational quotes to quirky and funny expressions. For the holidays I created a series of index cards featuring the beautiful sentiments from Yvonne Blair along with the beautiful seasonal colors. These index cards are part of a grateful mini-book. They were set at each person's place setting along with a pen. Both sides of the cards are finished with the intent that the person could indicate what they are grateful for along with their name and the date. That makes these re-usable year after year. After dinner is finished they are gathered up and put back into the mini-book until next year. Here is the coordinating back of the card where they can write their thoughts of what they are thankful for. This index card was intended for the back of the previous card. I loved how it turned out and decided to use it on the front of another card. This one was sponged with versamark using the stencil. Heat embossed with clear embossing powder. Then a mix of sprays were misted over the images. To finish it off the resist was removed by using an iron and two sheets of cardstock. This was to make a surface available again to write over. 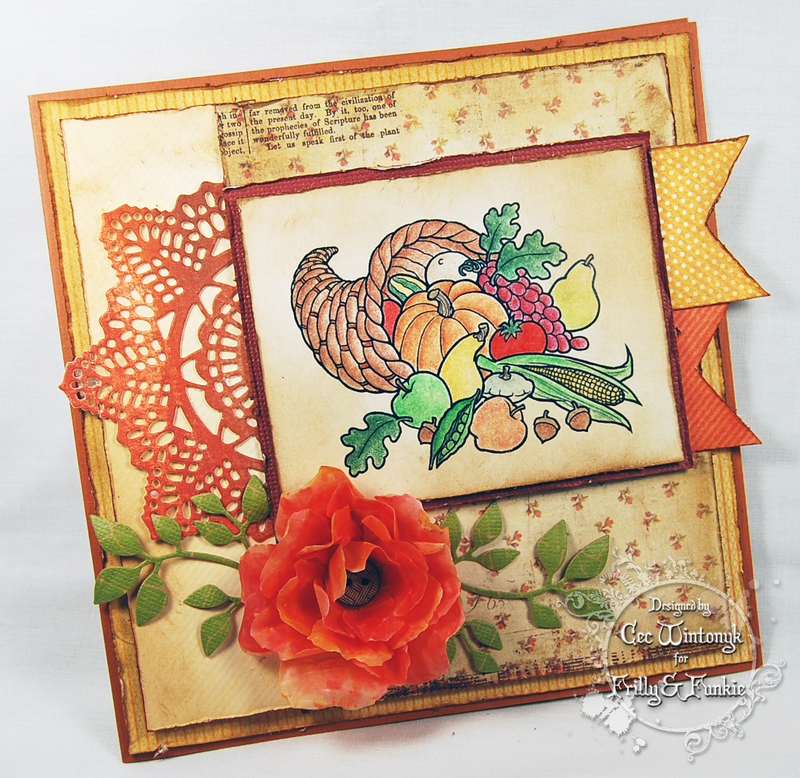 I thought the Holiday Knit stencil would be fun in Autumn colors and used it on the back of this card. This card features the beautiful red cardinals against the gray background of birch trees. For the back of the card I repeated the birch stencil. 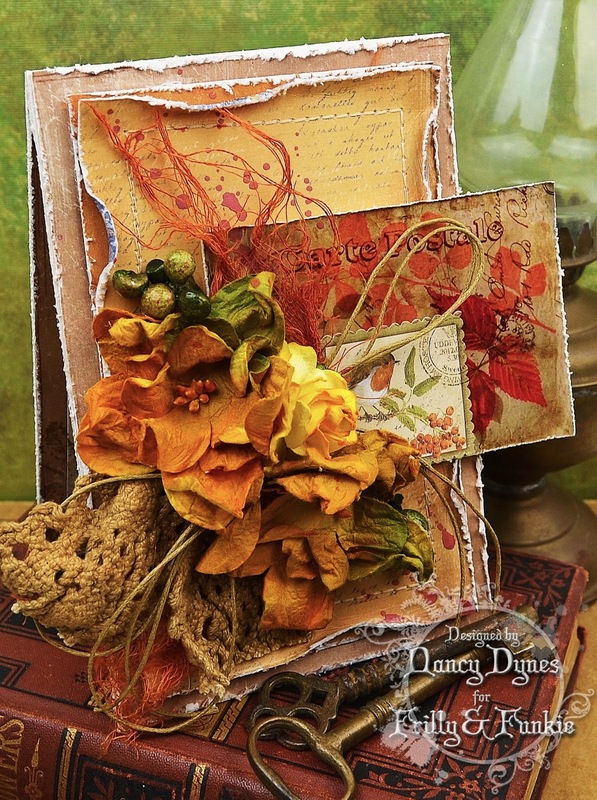 This index card used the fall foliage layering stencil with crackle paste. 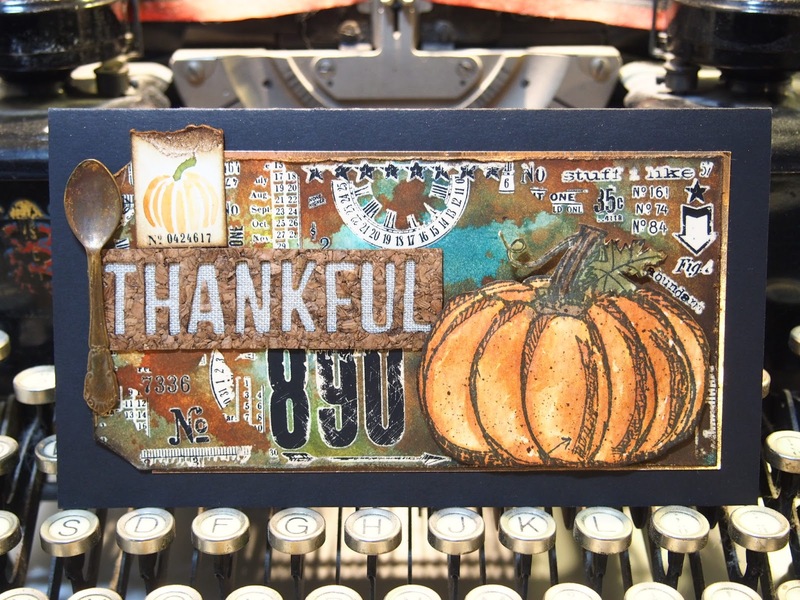 After the paste dried a mix of distress stain sprays added the beautiful fall colors. The back of this grateful card is the cast off resist from when I ironed the clear embossing powder off. This leaves a bit of resist on the paper you use to sandwich the embossed image in. I used it to sponge a mix of yellows, oranges and reds over the leftover resist. I love this beautiful sentiment and paired it with crackle stars. The stars were misted with yellow distress spray and brown ink was sponged over. The back of the index card was a leftover mix of sprays picked up on a scrap piece of cardstock. I hope you this has inspired you to look through the wonderful selection of stamps by Yvonne Blair in at The Funkie Junkie Boutique. Don't forget the Clearance section as well as Christmas and New Arrivals section.